Xiaomi Mi Notebook is the new slim notebook on the market. And it is also the first laptop to come out of the Chinese company’s factories. The electronics corporation based in Beijing is long famous for its affordable smartphones. 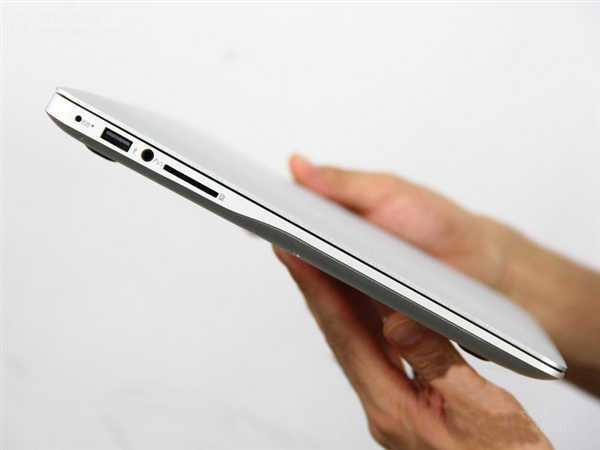 Now, Xiaomi also gets in the notebook game with its new tech product that very much resembles a Macbook. Speaking of Macbook Air, Xiaomi’s first laptop was announced under the name of – what else – Mi Notebook Air. The thin and ultralight Windows OS laptop computer comes in gold and silver, with two size varieties. If you’re planning on buying the new Xiaomi notebook, you can choose from the 13.3-inch version or go for the smaller 12.5-inch variant. Naturally, the 13.3-inch model is the most powerful of the bunch. It features an Intel Core i5 process and a Nvidia GeForce 940MX card. Xiaomi guarantees that you will be able to play all your favorite video games at high frame rates thanks to the performant mobile graphics card. Also under the hood, the 13.3-inch Notebook Air packs 8GB DDR4 of RAM, 256GB PCIe SSD, and an SSD slot. The 12.5-inch Xiaomi Mi Notebook Air only gets an Intel Core M3 processor, 4GB of RAM, and 128GB SSD. However, it beats its bigger brother when it comes to battery life. The tech manufacturer says the 12.5-inch model can last for more than eleven hours on a single charge, as opposed to the 13.5-inch version who might get sleepy after nine hours of use. When comparing Xiaomi’s Notebook Air with the similar Macbook Air from Apple, we can’t but point out that the Chinese manufacturer has succeeded to create a product that is 13 percent thinner and 11 percent smaller than the popular Macbook. It is reported that the laptops are produced in partnership with Tian Mi – hence the “Mi”- but will be branded under Xiaomi’s name. The bigger 13.3-inch model of the Xiaomi Mi Notebook Air will, evidently, be more expensive. It is priced at about $750, while the 12.5-inch variant will cost around $525. For now, the two notebook will only be available in China, starting August 2nd. The company has not yet disclosed a release date for the rest of the world. It is not clear if the products will hit the international market, as Xiaomi’s other non-smartphone products rarely leave China.